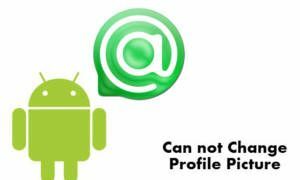 If you can’t change your profile picture on Agent application with your Android device, you will find some solutions on here. Mail.ru’s Agent App is one of the most famous chat applications on Android. However there are some problems with the application. Uploading or changing profile picture is one of them. There are several ways to resolve this problem. How to Chat Online is going to provide all these information for you on this page. Let’s begin to talk about how to resolve it. 1-) Delete Cache and Data from Your Android Device : It’s the most basic way to get rid of errors on applications. You can take a look at our guideline about clearing cache and data from your Android device. It’s quite easy. We recommend you to restart your device after you do all steps and run application again. 2-) Do you get errors after a recent update? Remove updates from your phone: Generally people getting some annoying errors or problems on applications because of new updates. You can remove recent updates from your phone easily. We have already told how to remove recent updates for MeetMe and WeChat apps. You can take a look at our guidelines and follow the same steps to remove updates of your Agent App. a-) Close the application and make sure that it’s running your Android device. b-) Go to Settings —> General —-> Application Manager —-> Agent App on your device. c-) Clear data and and cache first. d-) Uninstall the application and then check your file directory if you any Agent App file remained in your phone. If there are files, remove them from your phone. e-) Restart your device and go to Google Play and download – install the application from official sources. Run the app.